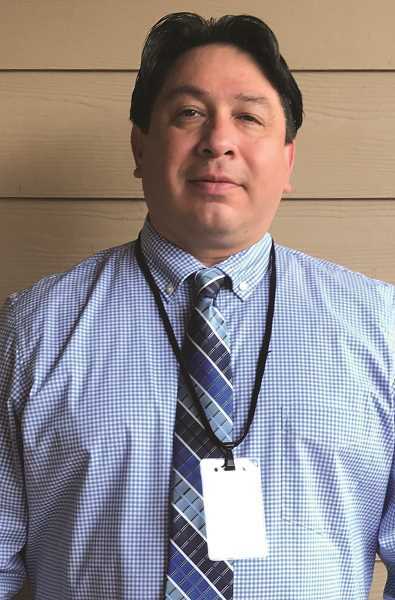 Woodburn School District has hired a new employee to help improve communication with parents and the community. In part a response to parents' outrage regarding the district's communication following the school shooting hoax in February, the district created a new full-time position, communications coordinator, to keep the public informed about school events. Former journalist Ricardo Vasquez stepped up to take the role. Vasquez recently moved to Oregon but he is no stranger to Woodburn or the state. Vasquez's wife Beatriz is a second-grade teacher for the Woodburn School District and Vasquez was born in Oregon and went to University of Oregon for college. Vasquez has worked in public relations before, but was primarily a journalist. His career as a journalist spans the transition from film to digital photography and print to online publication, and has taken him across the country and around the Americas. Vasquez started as a reporter in 1997, in Corsicana, Texas at a daily newspaper. From there he moved to Alexandria, Virginia, and worked as a freelancer and later as an assistant editor for the Sunday Journal. At The Journal Vasquez began developing his skills in a new field, web development. He didn't stay put, though, and was soon off to Monitor, Texas, to work on a web design contract. When the contract ended he had planned on moving back to D.C., but applied for a position as public communications director at Saul Ross University, and to his surprise he got the job. The job fit his mix of skills, and gave Vasquez a chance to hone them, designing the university's web page and shooting video for school promotions, and breaking into the new field of digital photography. "I started with a Sony digital camera," he said. "The memory cards used to carry like 60 megabytes, it was like, 'Wow that's amazing, I can't believe it,'" he said. The experience he gained in the web and digital fields helped him land his next job, as a videographer and web editor with the military news publication Stars and Stripes. Vasquez moved back to the D.C. area and worked there for 10 years, also helping start its web department with two other editors. When he first started, they were still shooting video on tapes, and had to playback the recording to download footage. "If you shot an hour's worth of video it took an hour to download," he said. "I've seen all this stuff change as time has gone by; it's all digital now." Stars and Stripes gave him the opportunity to cover news at the White House and in Congress, and to travel to places like Chile and Ecuador. Meanwhile, Vasquez's family was growing. Beatriz had their first child together and their second, and the price of living in D.C. became too expensive. They had to move again, and they considered Oregon. Beatriz applied to work with the Woodburn School District; as a bilingual teacher with 14 years of experience, she was a good fit. The district called back and the family was headed to Oregon. Vasquez said it felt like a natural move. He has two brothers in Salem, several cousins in the state, and his grandfather lives here. He also went to University of Oregon for college and he still has friends here. "I'm a Duck, my cousins are Ducks, my brothers are Ducks, and Oregon has always been part of my life," he said. "I always used to be out here in the summers visiting my grandpa." Vasquez was working until recently as an instructional assistant in the Salem-Keizer School District. Then he saw the position open up with the Woodburn School District, and said he knew he had a good chance of snagging the job. "When this came up I thought, that would work out great," Vasquez said. "It was almost like it was tailored for me, it was almost all things I have done in the past."